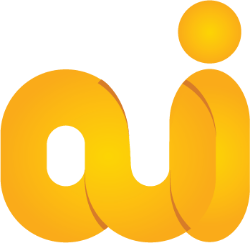 The Afrotainment Family of channels, the leader in African Home Entertainment on Television in the USA and Canada announced today that it is expanding into Africa with the launch of OUI TV in exclusivity on StarTimes, the leading digital Pay-TV operator in Africa. Already available nationwide in the USA and Canada, OUI TV is a 24/7 French language channel broadcasting African TV Series and movies (Including Nollywood) in French. Everyday on OUI TV, viewers can watch over 20 different episodes of African TV Series and 6 African movies. “The addition of OUI TV to StarTimes platform assists us in delivering on our promise of bringing high quality, affordable digital TV to our diverse subscribers in Africa. With the addition of OUI TV, our French speaking viewers now have more choice of their favorite series and movies, broadcasted in their home language,” said Mike Dearham, Managing Director of Media Department and VP-StarTimes Group. Our channels are available on DISH, Optimum Cablevision, Bell (Canada), Roku, Amazon Fire TV and soon Verizon FIOS. Founded in 1988 with headquarters in Beijing, China, StarTimes is a Digital Television service provider operating in over 16 African countries with a combined subscriber base of over 4 million and a global reach of over 7 million. StarTimes has combined satellite with terrestrial technology thereby facilitating the transmission of more than 100 local and international television channels covering news, sports, music, movies, TV series, religion, entertainment and documentaries all of which are available across the African operations. OUI TV will broadcast on StarTimes basic package on DTH and DTT starting Monday August 10, 2015 on channel 43.